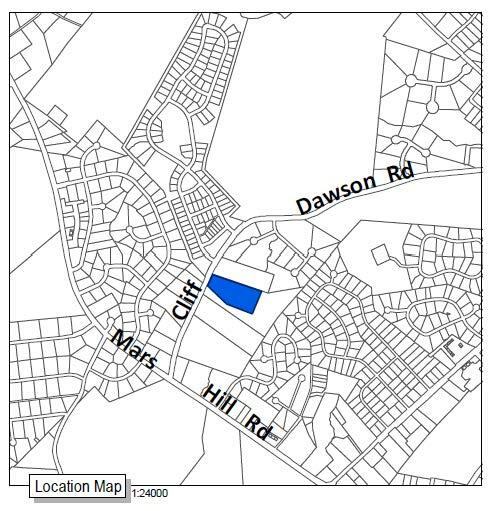 Oconee County Commissioners, in their first meeting of 2018, are to decide the fate Tuesday night of a request for a reception hall on what is currently agricultural land on Cliff Dawson Road near Mars Hill Road. The Planning Commission voted 5-3 on Dec. 11 to recommend to the Board of Commissioners that it deny the request by John Hadden III and Jennifer Hadden to convert 6.3 acres at 1110 Cliff Dawson Road from agricultural to business use so they can construct a barn-like reception facility. The Planning Staff has recommended approval of the rezone request for the 5,800-square-foot reception hall. The Board of Commissioners meeting starts at 6 p.m. Tuesday following the decision earlier this month by the Board to move starting times of its meetings up an hour from the traditional 7 p.m. start time. 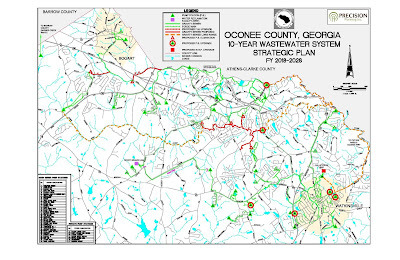 The agenda for the Tuesday Board of Commissioners meeting also includes a report by Oconee County Utility Department Director Wayne Haynie on the status of a Water and Wastewater Master Plan under development for the county. At the BOC meeting on Dec. 19, Board of Commissioners Chairman John Daniell said the county needs citizen input on a number of questions regarding the Water and Wastewater Master Plan and that Haynie would outline the questions to be addressed at the meeting on Tuesday night. In addition, the county will hold a Water Resources Open House at 6 p.m. on Jan. 16 at the Civic Center that will include a short presentation of questions to be addressed and comment stations around the room where citizens can respond to the questions posed. On Jan. 9, the Board of Commissioners will hold a strategic planning Work Session, Daniell announced at the Dec. 19 meeting. The Board will review the status of the objectives set by the Board in 2017 and discuss items to be addressed in 2018. That meet meeting will start at 9 a.m. at Oconee Veterans Park. On Jan. 23, starting at 6 p.m., the Board of Commissioners will hold a Town Hall Meeting, also at Oconee Veterans Park. The Board of Commissioners has approved a string of requests in recent years that would allow for conversions of buildings originally used for agriculture purposes to commercial uses as reception halls. The most recent was for The Farm on High Shoals Road between Bishop and North High Shoals. The Haddens have poured the foundation for a barn-like building but not actually constructed it on 15 acres they own on Cliff Dawson Road between Moss Creek Drive and Mars Hill Road. In order to operate the Reception Hall, the Haddens propose to carve 6.34 acres from the larger site and are asking that those acres be rezoned from agricultural to business use. 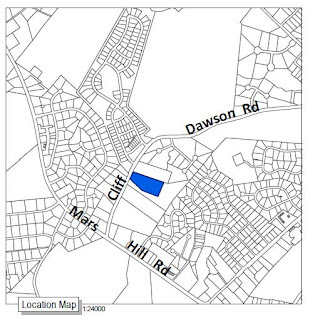 They also are asking for a special exception variance to reduce and waive buffer requirements, another special exception variance to waive off-street parking requirements of the county code, and a hardship variance to allow metal roofing as the primary material for a commercial building within the Mars Hill Road Overlay District. The Haddens are calling their property Silver Oaks. At present, the property includes of a private, single-family residence and home site complete with a carriage house and other accessory structures associated with agricultural activities, according to the narrative submitted in support of the rezone. In addition, there is an open grass lawn area, a shady oak grove, a pond and an existing drive on the property, the narrative states. The exterior of the proposed reception hall is to be constructed to resemble a farmhouse style barn with white siding and a metal roof in keeping with the existing buildings on the site. Maximum seating capacity will be for 250 people, the narrative states. The facility will use county water but be on a private septic system, according to the submitted plans. At the Dec. 11 meeting of the Planning Commission, Bob Smith of Smith Planning Group, representing the Haddens in the rezone request, said the two purchased the property in 2016 to develop a blueberry farm. Smith said 2,600 blueberry plants in the ground and that the Haddens got their building permit for the barn with the specification that it would be used for packing of blueberries. The blueberry season only runs for six weeks, Smith said, and use of the barn as a reception hall would complement the blueberry operation. Seven people from nearby Moss Creek and Meadow Springs subdivisions spoke in opposition to the rezone request at the Planning Commission hearing, citing concerns about traffic, noise and light pollution. Several said the Haddens had held an event on their property in October that was noisy and very disruptive to their neighborhoods. The county has not provided information on what it expects from citizens as they participate in development of the county’s Water and Wastewater Master Plan. The proposal that the county run a gravity-feed sewer line down Calls Creek dominated much of the discussion of wastewater in the county in 2017. 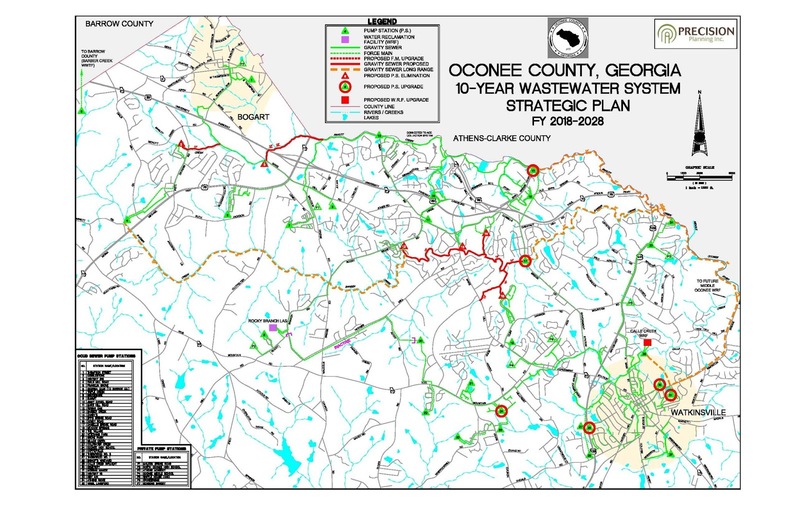 The Utility Department is showing a map of its plans for its 10-Year Wastewater System Strategic Plan FY 2018-2028 at the Government Annex on the south side of Watkinsville that eliminates the line down Calls Creek entirely. Instead, the map on the wall just outside the Utility Department office shows gravity-fed line from the Calls Creek Wastewater Reclamation Facility on the north side of Watkinsville to Simonton Bridge Road and then down Simonton Bridge Road to the Middle Oconee River. I obtained a copy of that map, prepared by Precision Planning Inc. of Monroe, from Jenanne White, Utility Department administrative assistant, in November. I was not able to attend the meeting of the Planning Commission on Dec. 11, but Sarah Bell did attend and recorded the video below. Discussion of the rezone request of the Haddens starts at 26:16 in the video. The Planning Commission does not hear requests for variances. OCO: PC 12 11 17 from Lee Becker on Vimeo. The video of the Dec. 19 meeting of the Board of Commissioners is below. Commission Chair Daniell made his announcements about the January meetings at the start of the session. OCO: BOC 12 19 17 from Lee Becker on Vimeo. Barn for blueberry packing suddenly morphing into a meeting hall. Planning Commission votes 5-3 against. Planning staff votes to approve. As usual, it will depend on who is friends with whom. I have sympathy for those who thought they would be living near a blueberry farm and instead find they might have a noisy event place. There are too many exceptions being requested. I hope the commissioners will follow the planning commission. "Silver Leaf" not - Damn Good Dawgs Farm is the operation name. Huge nuisance to surrounding homeowners. The October "party" hired 2 off duty sheriff's deputies to control 100+ vehicle traffic in & out and, likely, disorderly behavior. The other facilities mentioned in this blog are located in much more rural areas, not among multiple subdivisions. Lee - Are you going to write a follow up on the Cliff Dawson Road Site zoning? Thanks. I am juggling some personal demands, putting me behind on a number of posts. I will try to make reference to the BOC decision and embed the meeting when I find a chance.